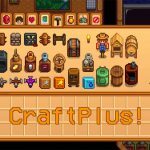 With All Crops All Seasons Mod modding alone, crops can be set to be planted and grown in all four seasons. However, an additional check in winter deletes any crops planted. Daily Friendship Increaser Mod will increase daily friendship by a user configuration.And this mod default removes friendship decay. Show Item Sell Price Mod adds a new special feature which allows you to quickly view the vendor price of each item in your inventory. With TimeSpeed Mod, you can adjust the game clock speed by a configurable amount. Speed up, slow down, or completely freeze time. Slower Fence Decay Mod adds a new feature to the game which makes the fences decay slower, counteracting a bug in the game. Get Dressed Mod is a new mod which was created by Advize and Jinxiewinxie.This mod adds a dresser with a mirror to the bedroom in each of the farmhouse upgrades. 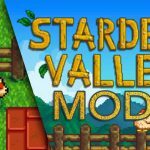 Loved Labels Mod is a cool mod which is about labels in Stardew Valley.With this mod, you will have a tooltip label near your cursor when you mouse-over a pet or farm animal letting you know if they have been petted or not. 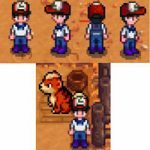 Automatic Open/Close Animal Doors Mod is a useful mod which is doors in Stardew Valley.This mod closes on a specific Time of Day all your Animal Doors!